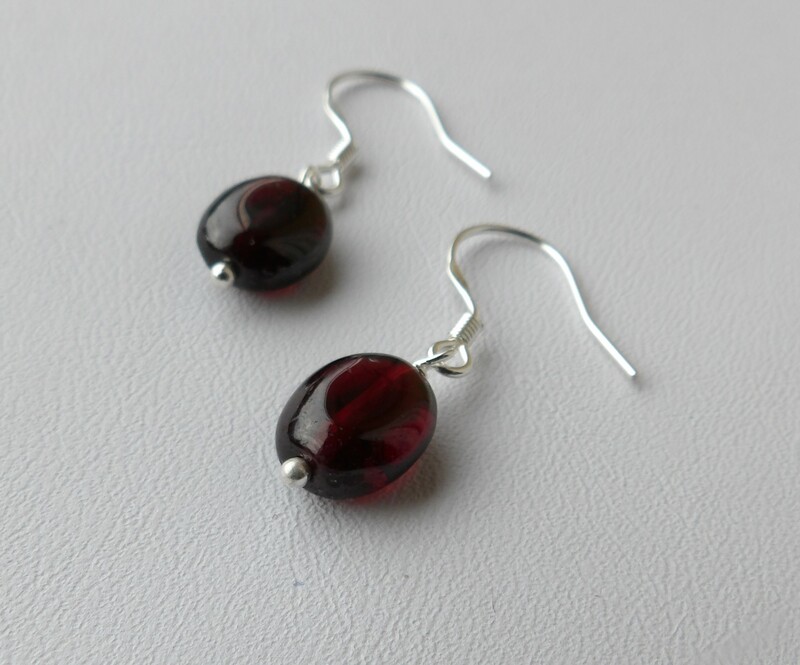 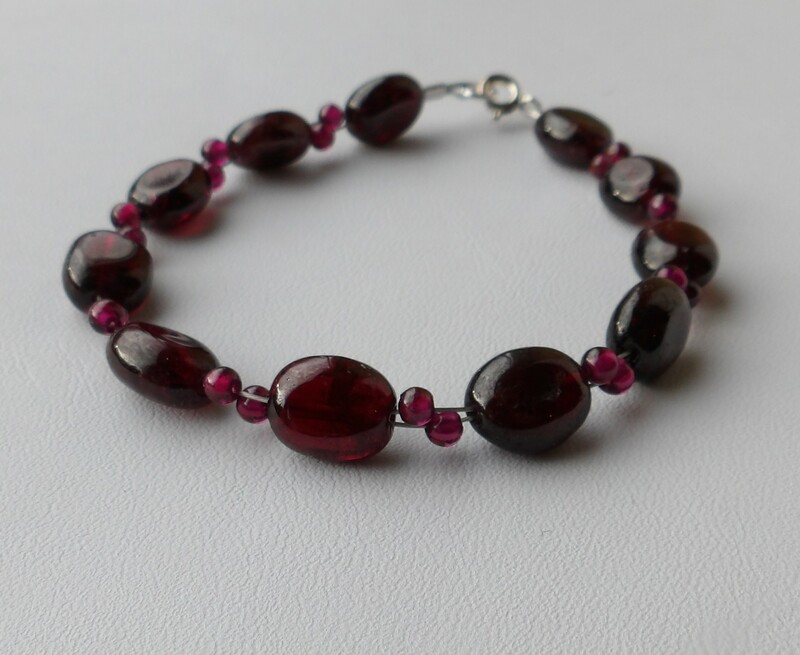 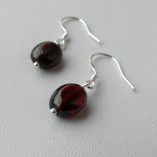 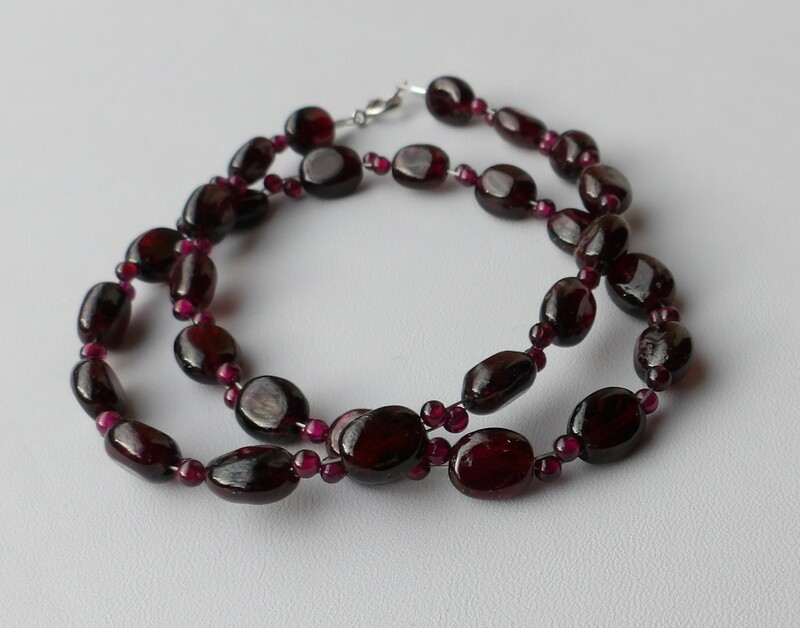 This classic garnet necklace has a vintage feel about it. 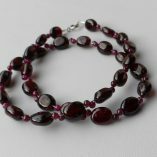 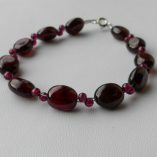 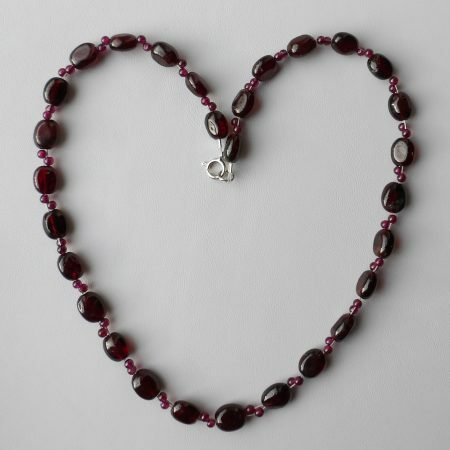 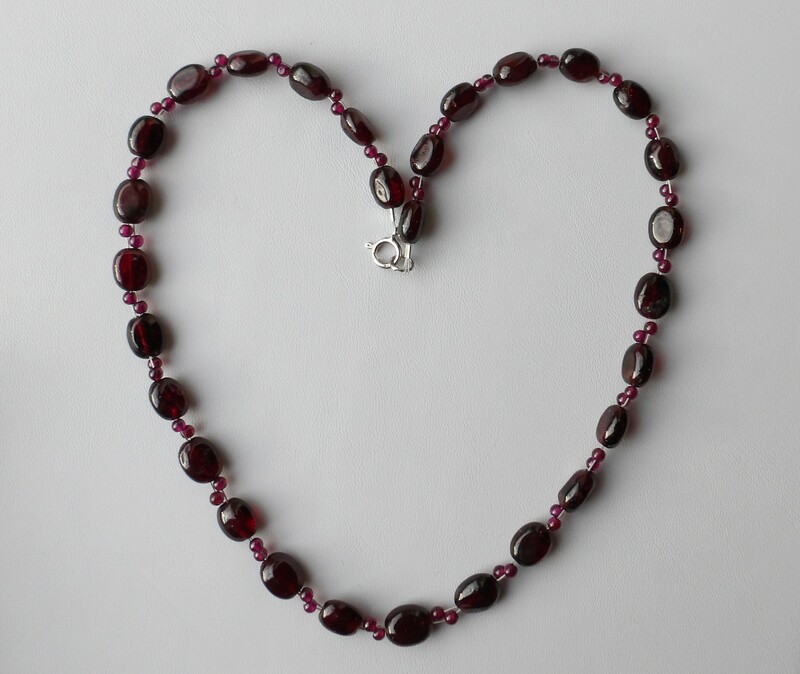 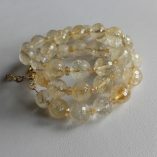 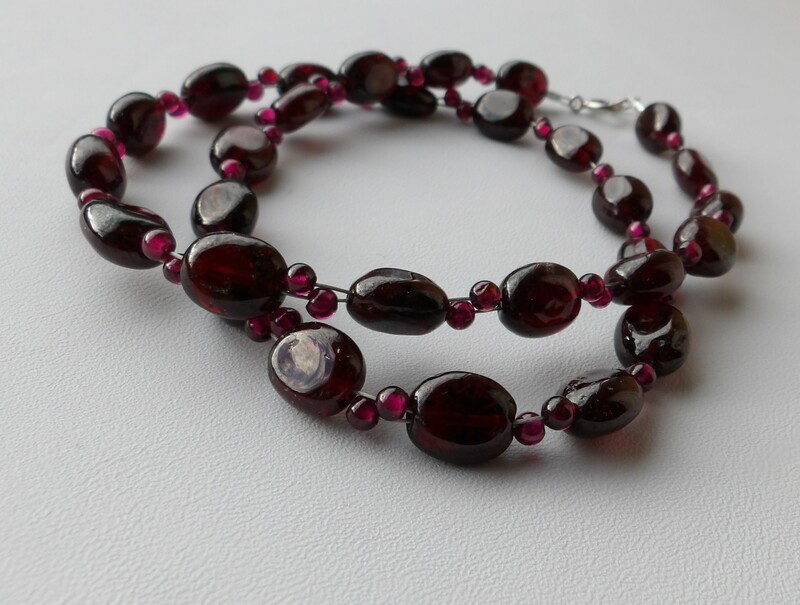 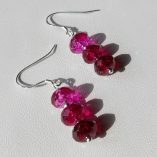 I’ve just a simple two-strand weave with garnet ovals and 3mm rounds in-between. 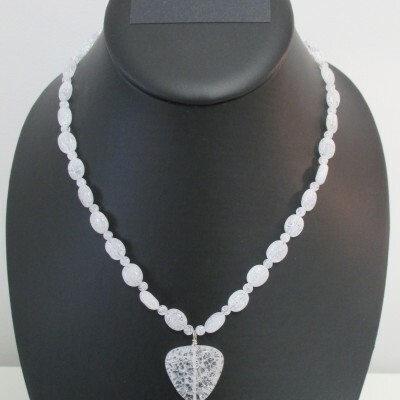 The necklace, which is finished with a sterling silver bolt ring clasp, measures 45.5 cms (18 inches). 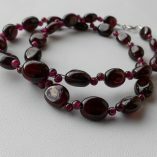 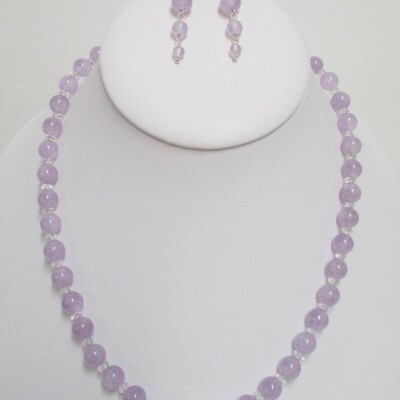 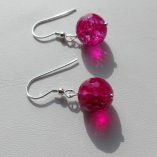 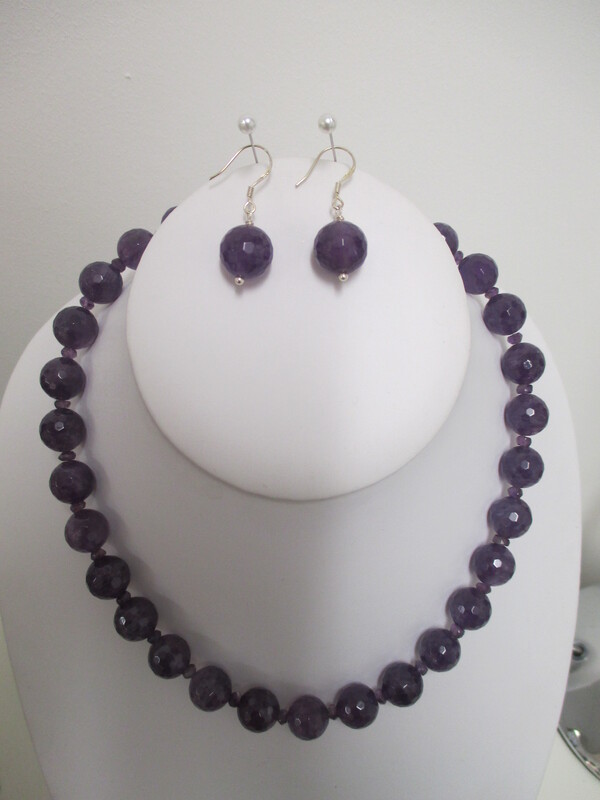 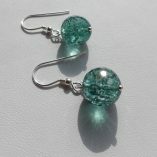 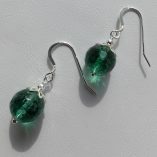 Matching bracelet and earrings are available.